As we become more and more dependent on electricity for everything we do, a long-term power outage can quickly turn from a momentary inconvenience to an outright disaster. Stop and consider everything you do on a daily basis that requires electricity; cooking, heating or cooling our homes, lighting, running water for drinking, bathing & washing dishes and clothes, refrigeration of food, and communication needs; phones, radio, television and the internet. And what about family members that are dependent on special equipment such as a respirator, ventilator, oxygen concentrator, suction machine, medication compressor. 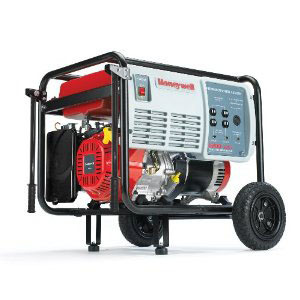 All items that can easily be powered by a backup power source such as a generator. You can greatly lessen the impact of electrical power failure by taking the time to prepare in advance. You and your family should be prepared to cope on your own during a power outage for at least 72 hours . Also consider establishing a contingency plan for extreme emergencies for members of your household with special needs. The Center for Disease Control (CDC) recommends that people make an emergency plan that includes a disaster survival supply kit that includes items you can use when there is a power outage.. Emergency Flashlights and extra batteries. Water for drinking and Cooking. In an emergency during the winter, try to live in one room. Choose the room with the fireplace or one that can be heated easily with a portable heater. You can install a non-electric standby stove or heater. Choose heating units that are not dependent on an electric motor, electric fan, or some other electric device to function. 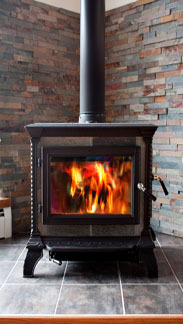 It is important to adequately vent the stove or heater with the type of chimney flue specified for it. Consider the benefits of Alternative Energy, too. Turn off and unplug all tools, appliances and electronic equipment, and turn the thermostat(s) for the home heating system down to minimum to prevent damage from a power surge when power is restored. Also, power can be restored more easily when there is not a heavy load on the electrical system. Use Surge Protectors: It’s strongly recommended that expensive electronics be unplugged during an outage to protect them from power surges when electricity is restored, but for when you can’t unplug, surge protectors will help prevent damage to electronics like computers and televisions. Turn off all lights, except one inside and one outside, so that both you and hydro crews outside know that power outage is over and has been restored. Don't open your freezer or fridge unless it is absolutely necessary. Make sure food stays as cold as possible, by keeping refrigerator and freezer doors closed and placing blocks of ice inside, if possible. A full freezer will keep food frozen for 24 to 36 hours if the door remains closed. A back-up generator may only be connected to your home's electrical system through an approved transfer panel and switch that has been installed by a qualified electrician. Never plug a generator into a wall outlet as serious injury can result when the current produced by the home generator is fed back into the electrical lines, and transformed to a higher voltage. This can endanger the lives of utility employees working to restore the power. Locate the tripped breaker. Circuit breakers are small, usually horizontal switches and may be labeled (e.g., "kitchen," "bathroom" etc.). The tripped circuit breaker will be in the "off" position or in a middle position between "on" and "off." Reset the breaker by moving it to the full "off" position and then back to "on." That should clear an overload and return power to the room. If a breaker continues to re-trip, reset it only when you've corrected the problem, or call an electrician. Most tripped breakers are easily identified by an orange flag that appears when a breaker is in the tripped position. If your home has fuses instead of circuit breakers, follow the same steps for finding the blown fuse, then replace it with a new one of the same amperage. When resetting a breaker use only one hand and stand to the side to avoid electrical arc if the breaker should malfunction.